Let’s make this personal. Susan and I settled down to listen to the game between Manchester United and Blackburn Rovers, the mid-day match on New Year’s eve. The stated odds were twenty to one against a Blackburn Rovers win. For arcane contractual reasons there were no Premier League football matches televised that day. We listened to the team news with surprise but only slight concern. United’s injury problems seemed to have become even worse with makeshift arrangements in defence and mind-field. And the latest casualty was Wayne Rooney, by general agreement United’s most gifted attacking player. Still, Blackburn Rovers were in turmoil. They were bottom of the league. Their hapless manager was the target of a vociferous campaign to have him sacked. Sir Alex said Rooney would miss the game but would probably be back for the next one. Rooney watched the game from the Directors’ box. The press had built up the occasion as the day when Sir Alex Ferguson would celebrate his seventieth birthday, and when United would leapfrog their ‘noisy neighbours’ Manchester City to head the league table at the start of the New Year. Sometimes you can anticipate when a team that starts badly is going to get worse. This began to seem one of those times. United were playing as if it were only a matter of time before Blackburn would drop out of the two horse race, leaving the thoroughbreds to canter on to the winning post. But Blackburn defended grimly then broke away and scored. “That’s what the neutrals wanted” said the commentator. “Now we’ve got a game on our hands”. At half time the game remained one goal in Blackburn’s favour. United’s patched-up team had begun to run out of attacking ideas. Then the next blow. Another breakaway goal. The inexperienced defence exposed again. The story behind the story: bend it like Beckham? Within hours the story behind the story broke. Wayne Rooney had mightily displeased Sir Alex, and had been dropped as a disciplinary measure. It all sounded a bit like the famous David Beckham episode resulting in Beckham’s injury from a flying boot, not on the field but in the dressing room. Perhaps coincidentally, Rooney had made a very public joke about that incident a few days earlier. He had also broken the strict training regime having dinner with a few players and wives after the last United match. A confrontation with the notoriously prickly Sir Alex, and some punishment was inevitable. 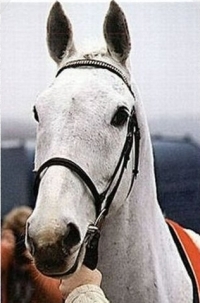 I couldn’t help remembering the words of a stable girl after another great sporting personality, Desert Orchid, failed surprisingly. “He’s only human” she said in Dessie’s defence. Maybe we should remember the same point about Sir Alex. Even the greatest leaders sometimes struggle with the dilemmas they have to deal with. You are currently browsing the Leaders We Deserve blog archives for the day Sunday, January 1st, 2012.